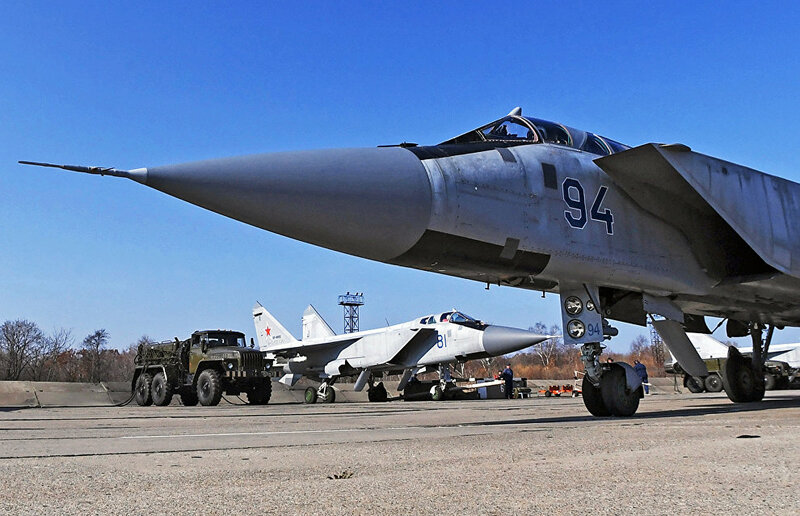 The Russian Defense Ministry is set to deploy two squadrons of MiG-31 Foxhound fighters-interceptors at the Monchegorsk air base. They will eventually expand into an air force regiment and will boost the Russian Northern Fleet's combat potential, according to Izvestia newspaper's website. "The Defense Ministry has decided to deploy two of the Northern Fleet's MiG-31 squadrons at the Monchegorsk air base before the year is out. The possible establishment of a new air force regiment on their basis will later be discussed," the newspaper reports, quoting a Defense Ministry source. There are plans for MiG-31 fighters-interceptors to begin patrolling the Arctic air space from the start of 2019. These warplanes will carry the highly accurate Kinzhal (Dagger) hypersonic air-to-air missiles. The MiG-31s were upgraded simultaneously with the Kinzhal R&D project. Colonel General Nikolai Antoshkin, former commander of the Russian Air Force's tactical air command, told the newspaper's correspondent that a MiG-31 aircraft boasting state-of-the-art avionics and weapons systems met all current standards and even outperformed many fighters in some respects. According to General Antoshkin, the MiG-31's unique specifications and performance are the main reason for deploying these planes in the Arctic because it is now necessary to shield the vast local borders, Izvestia writes.